The promoter of the failed Fyre Festival in the Bahamas — once billed as the “cultural experience of the decade” — pleaded guilty to wire fraud charges Tuesday, agreeing to serve up to a decade in prison for lying to investors who lost over $26 million. The promoter behind a failed music festival that was in the Bahamas was arrested Friday in New York on a wire fraud charge. 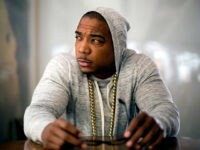 Rapper Ja Rule must personally pay back a $3 million loan relating to the ill-fated Fyre Festival, according to a lawsuit filed by his creditor in Manhattan this week. 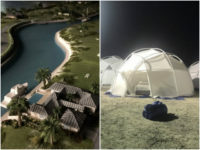 Organizers of the now-scrapped Fyre Festival — a promised “luxury” music festival in the Bahamas that left guests who paid tens of thousands of dollars scrambling immediately to find flights home — have been hit with a $100 million lawsuit alleging the whole enterprise was a “get-rich-quick scam” from the beginning. Models Kendall Jenner, Bella Hadid, Emily Ratajkowski, and Hailey Baldwin are facing fierce backlash on social media for promoting the Fyre Festival, a promised luxury music festival experience that spectacularly collapsed Friday and left many ticket buyers feeling like they had been scammed. The inaugural Fyre Festival in the Bahamas — billed to offer the “best in food, art and music” and promising celebrity chefs, supermodels, and top-tier musical acts — has been cancelled after a chaotic start that left many ticket buyers stranded, hungry and angry after having shelled out tens of thousands of dollars to attend. An elite and luxury “rich kids of Instagram” festival on an island in the Bahamas instead turned into a nightmare according to a report by The Telegraph. 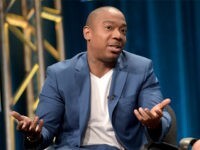 Video of the incident sent to TMZ shows Ja Rule pausing his performance and enlisting the audience’s help to locate the beer can-throwing fan.